My 21 Day Fix journey was totally worth it, but don’t get me wrong there was definitely some trials I had to overcome. Aside from having Riley remind me, “Mommy, she said switch to heavy weights.” and Avery think that it was the perfect time to crawl through my legs while I did my jumping jacks, I was definitely sore on repeated occasion. As a former college athlete, I used muscles that I never even knew I had, which is largely why I was so many pounds and inches, which you can read all about HERE, if you already haven’t. 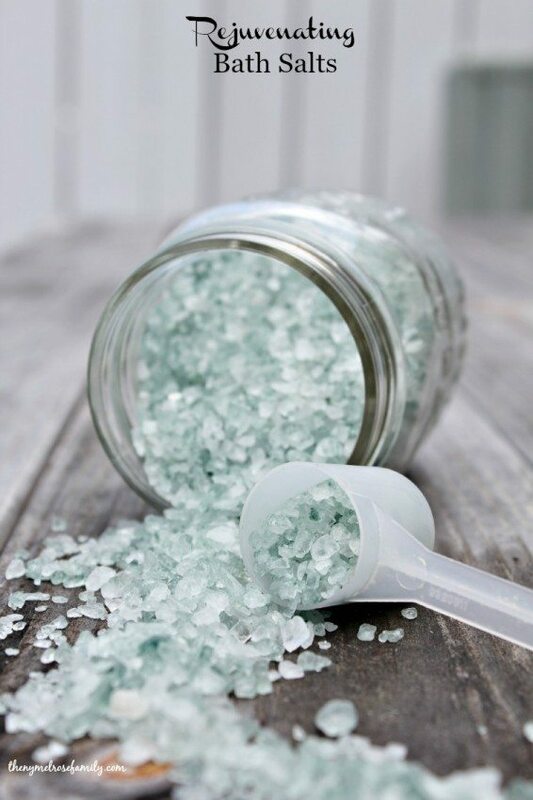 In order to soothe my aching muscles and get prepared for my workout the next day, these Rejuvenating Bath Salts were the perfect way to recharge. My favorite part of these Rejuvenating Bath Salts were the color. They smell amazing, but they are just so pretty. It’s the German Chamomile that turns the epsom salt this hue. I just love it and the salts did the trick overtime. 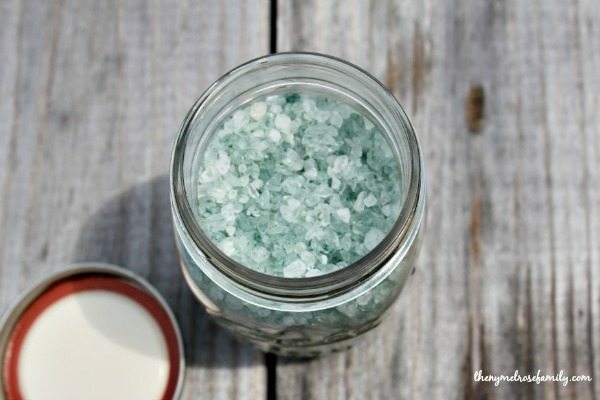 In order to create these Rejuvenating Bath Salts you’ll need a mason jar full of Epsom Salts, 4-6 drops of German Chamomile, 2-3 drops of Lavender, 2-3 drops of Peppermint and 2-3 drops of Grapefruit essential oils. Plus, right now for the month of May I have an amazing deal to get you started with essential oils and it even includes a diffuser! You get everything pictured below! 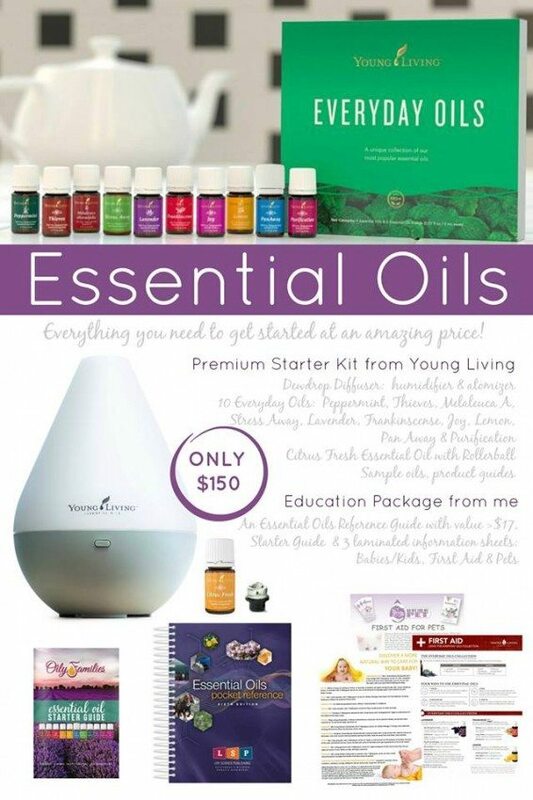 Click HERE to read more and see all the ways that you can use Young Living Essential Oils. I chose German Chamomile because of it’s a powerful antioxidant and I loved the fact that it was blue. I found this out when I created my Bee Sting Soother. Lavender was an obvious chose and I use it in just about everything that I made because of it’s ability to help me relax my mind and spirit. Grapefruit was an obvious choice for me because if I could bathe in it I would. 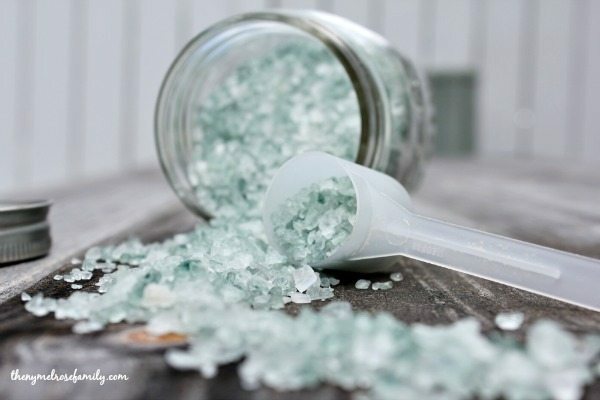 It’s known for aiding with fluid retention and trimming down on cellulite. Who wouldn’t bathe in it right? Plus, peppermint is a great anti-inflammatory, which my aching muscles were crying for.